Google is about to change the way its influential search engine recommends websites on smartphones and tablets in a shift that's expected to sway where millions of people shop, eat and find information. 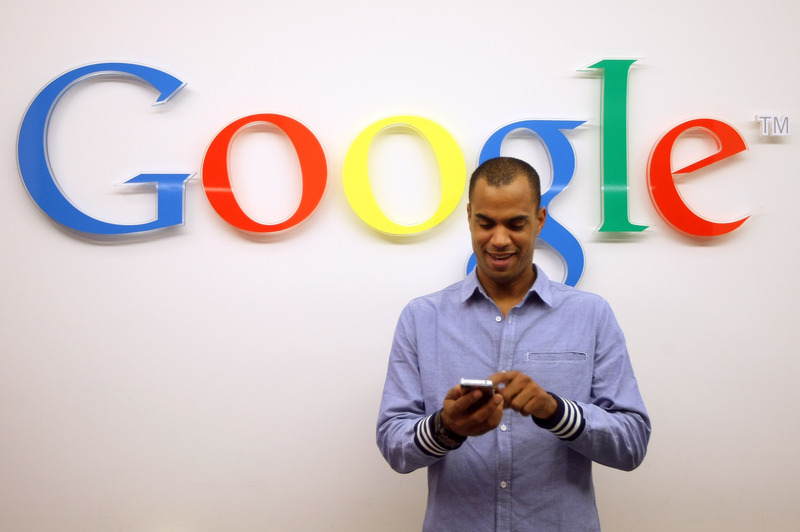 The revised formula, scheduled to be released Tuesday, will favor websites that Google defines as "mobile-friendly." Websites that don't fit the description will be demoted in Google's search results on smartphones and tablets while those meeting the criteria will be more likely to appear at the top of the rankings - a prized position that can translate into more visitors and money. "If you're on a mobile device - if you're on a tablet or phone or whatever it is - you're actually going to get mobile-friendly websites at the very top," explained CNET associate editor Iyaz Akhtar. "So you're not necessarily going to see the same results (as) on your desktop or laptop." Although Google's new formula won't affect searches on desktop and laptop computers, it will have a huge influence on how and where people spend their money, given that more people are relying on their smartphones to compare products in stores and look for restaurants. That's why Google's new rating system is being billed by some search experts as "Mobile-geddon." It's probably the most significant change that Google Inc. has ever made to its mobile search rankings, according to Matt McGee, editor-in-chief for Search Engine Land, a trade publication that follows every tweak that the company makes to its closely guarded algorithms. Here are a few things to know about what's happening and why Google is doing it. To stay in Google's good graces, websites must be designed so they load quickly on mobile devices. Content must also be easily accessible by scrolling up and down - without having to also swipe to the left or right. It also helps if all buttons for making purchases or taking other actions on the website can be easily seen and touched on smaller screens. "If the links are too close together, that's not mobile-friendly," Akhtar pointed out. If a website has been designed only with PC users in mind, the graphics take longer to load on mobile devices and the columns of text don't all fit on the smaller screens, to the aggravation of someone trying to read it. The number of mobile searches in the U.S. is rising by about 5 percent while inquiries on PCs are dipping slightly, according to research firm comScore Inc. In the final three months of last year, 29 percent of all U.S. search requests - about 18.5 billion - were made on mobile devices, comScore estimated. Google processes the bulk of searches - two-thirds in the U.S. and even more in many other countries. To minimize complaints, the company disclosed its plans nearly two months ago. It also created a step-by-step guide and a tool to test compliance with the new standards. Google has faced uproar over past changes to its search formula. Two of the bigger revisions, done in 2011 and 2012, focused on an attempt to weed out misleading websites and other digital rubbish. Although that goal sounds reasonable, many websites still complained that Google's changes unfairly demoted them in the rankings, making their content more difficult to find. While most major merchants and big companies already have websites likely to meet Google's mobile standard, the new formula threatens to hurt millions of small businesses that haven't had the money or incentive to adapt their sites for smartphones. "A lot of small sites haven't really had a reason to be mobile friendly until now, and it's not going to be easy for them to make the changes," McGee said. This will put the pressure on to catch up, because, as Akhtar said, "If you went to a website that didn't fit on your phone, you're eventually going to move to something else." Google's search formula weighs a variety of factors to determine the rankings of its results. One of the most important considerations has always been whether a site contains the most pertinent information sought by a search request. But new pecking order in Google's mobile search may relegate some sites to the back pages of the search results, even if their content is more relevant to a search request than other sites that happen to be easier to access on smartphones. "Availability is part of relevancy," Andrews said. "A lot of people aren't going to think something is relevant if they can't get it to appear on their iPhone."